Snohomish, Wash. – Despite over 80 shots combined between the two teams, the Oly Town Artesians and Snohomish Skyhawks played a low scoring affair at the Snohomish Soccer Dome on Saturday night. 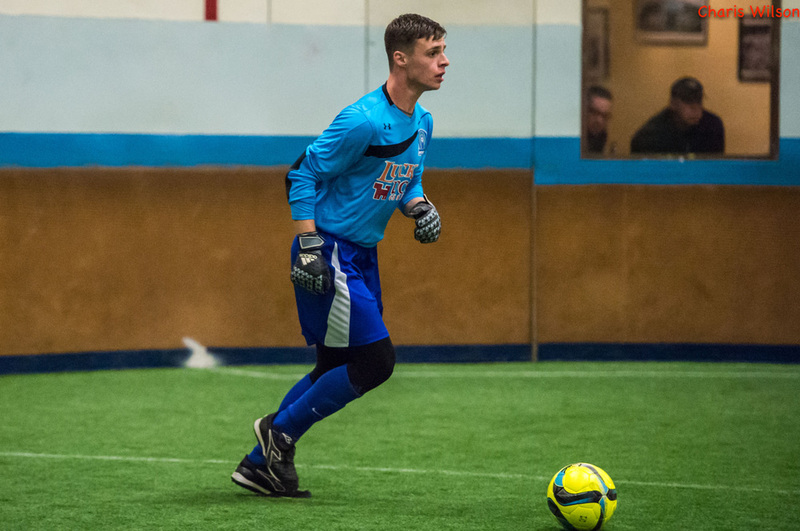 But two goals by Alex Taylor in the first half and two more fourth quarter goals gave the Skyhawks a 4-2 win, their first Western Indoor Soccer League victory. Both teams peppered the area for the entire first half but Alex Taylor scored once in the first period and again early in the second to give the Skyhawks a 2-0 lead. The Artesians finally got on the board when Greg Wolfe buried a pass from JC Henson to cut the lead to just one. The half ended with just the three goals scored despite 51 combined shots by the two teams. Again, after a plethora of shots in the third, the two teams could not break through for another goal until Hector Valdovinos poked home an easy one after a miscommunication by the Artesians defenders early in the fourth quarter. Mason Bochner gave the Skyhawks a 4-1 lead but JC Henson answered back right away to draw the Artesians to within two goals. The Skyhawks then held off a furious attack over the final five minutes and improved to 1-1-0 this season. Evan Munn made save after save on the evening but was unable to keep the Artesians out of the loss column. Oly Town dropped to 1-2-0 with the loss. The road trip finally comes to an end when the Artesians open their home slate and celebrate the holiday season at The Pavilion at The Evergreen State College on Saturday, December 19th. Doors open at 5:00 PM and first kick is scheduled for 6:00. Season and individual tickets are now on sale. Visit OlyTownFC.com for more information.